In the northern hemisphere, northern light is said to be the best light in which to create art, and this is true, but why is that? Initially, we might think light is light, right! …and how can one direction of light be so much better than another? Northern light is effectively reflected light, and doesn’t come directly from the sun, but is in fact light bounced off everything else; building, trees, the ground, the atmosphere..e.t.c ..and generally has a constant cool value. 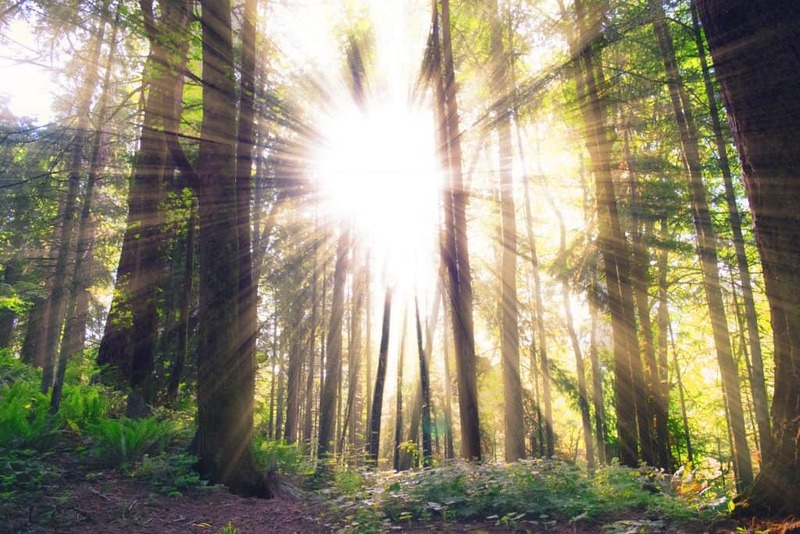 Northern light, because it is effectively reflected light, does not change tone or warmth throughout the day as much as direct southern sun light does. If you think about it, when the sun first comes up in the morning it’s a lovely yellow/orange colour and quite warm, but as it raises in the sky throughout the day it becomes less so, and at the sun’s highest point in the sky the light is a bright yellow, almost white colour. Northern light doesn’t change direction throughout the day, well, ..not as much anyway. Southern light changes tone and warmth as the sun rises and falls in the sky throughout the day – see point 2 above. Southern light changes direction throughout the day. That is to say the light ( the sun ) is in a noticeably different place every few minutes. Southern light casts strong shadows, which move as the sun moves through the sky. The main problem with painting in a studio/room lit by southern light is the constant shifting light direction. As the suns rays move across the sky, shadows created by that moving light move around in your studio/room. You might even end up painting on one side of the studio in the morning, and having to move to the other side to paint in the afternoon to avoid these direct rays of sunlight or shadows. Above is an example of north facing light; notice there are no strong shadows or patterning on the floor. The light is even and cool in tone. Compare this image with the image below. I also have a daylight lamp switched on in this photograph. Above is an example of south facing light; notice the patterning on the carpet is a mixture of bright sunlight and strong shadows. Not ideal light in which to paint. 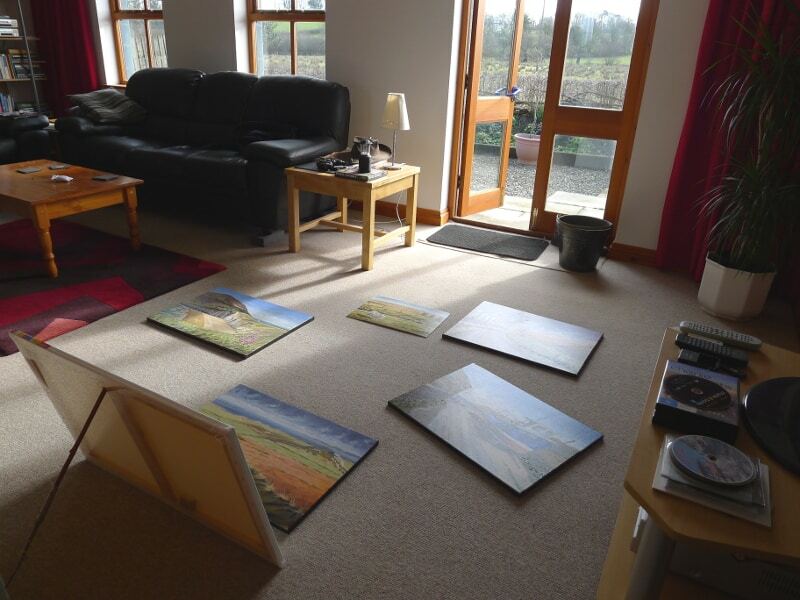 This is my set-up for photographing painting, when conversely southern light is ideal. The second biggest problem is that your painting will visibly change colour throughout the day if lit by southern sunlight, and what you thought was a nice warm orange in the morning, might reveal it’s self to be a red-hot humdinger of an orange by the end of the day, ..when much warmer evening sunlight is coming through your window. 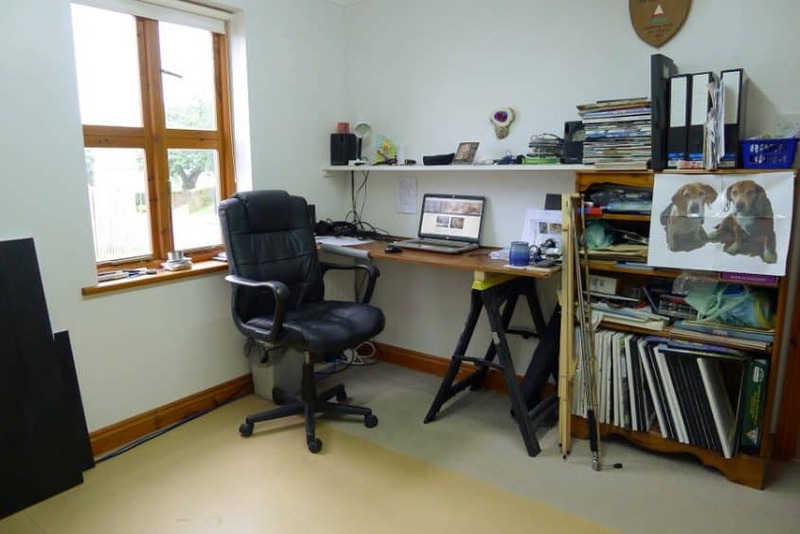 Having said all that, few of us work in a purpose-built south facing art studio, and if you paint in a room/studio with southern light coming through the window there are a few things you can do to lessen the sunlight’s disruptive effects. Avoid painting when the sun is very high in the sky, and do most of your painting in the mornings and late afternoon, when at least the light will be similar. Diffuse the light that comes through your window by fitting blinds to the windows. These come is a myriad of different strengths, from ‘sheer’ which will diffuse the light but still let plenty of light in. Semi-sheer, which diffuse more light but also blocks more light, right through to black-out blinds. Google ‘diffusing window blinds’ and see what you can find. A very cheap quick-fix is to buy some tracing paper, or possibly even grease-proof paper that is used for baking, and tape it onto your south facing widows. This works wonderfully as a diffuser and is easily removable should you need. A well positioned day-light lamp – this of course gets over most light problems, the down side being they aren’t always suitable, eg; if your painting area is usually a different part of the house, like the dining room or bedroom. They can also be quite expensive. I hope that helps explain why artist prefer northern light, if you have any questions let me know. Bookmark this article Why Is Northern Light Best For Artists?